Shop online with peace of mind. Join the 169 million people worldwide shopping with PayPal. PayPal is the safer, simpler way to pay. PayPal is a free account that stores and protects your financial details. You can shop with peace of mind, knowing your sensitive information is never revealed to merchants or other members. Add your debit card, credit card, or all of them. PayPal will securely store this information, ready for you to use when you shop. You don’t need balance in your PayPal account to shop. 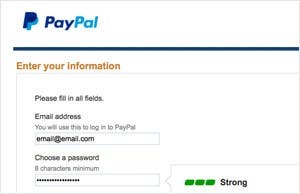 Just look out for the PayPal button and checkout using your email and password on millions of websites and apps worldwide. You’ll continue to earn credit card reward points. Signing up is easy and it's free. 1. Start by entering your email address and creating a secure password. 2. Next you’ll provide your billing information and link a credit card to your account. 3. You’re all set! You then be able to use your account anywhere you spot the PayPal button. Your security is our number one priority. We combine world class anti-fraud detection with 24/7 account monitoring. Your personal and financial details are securely encrypted to ensure your money and information stays safer when you pay with PayPal. Breeze through checkout with just your email address and password. There’s no need to run around searching for your wallet! 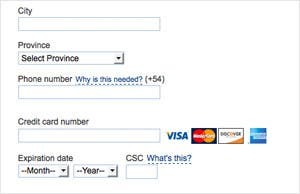 Better yet, you don’t need to type in your financial details again and again. Discover some of the millions of sites locally and around the world that accept PayPal. 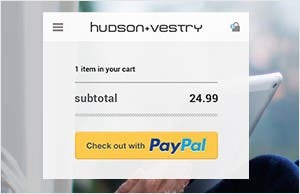 Buy direct from your computer, smartphone or tablet. Enjoy added safeguards: PayPal Purchase Protection covers all your eligible transactions. Shop the world without leaving the house.